Much of the first half of April 2018 was dominated by arbitrary arrests targeting persons believed to be campaigning against the change of the constitution and dominated by incitement to violence by CNDD-FDD activists threatening those likely to opposed to the constitution changes. The situation is complicated further as public authorities increased their attack towards media. The speech of Melchiade Nzopfabarushe, a former CNDD-FDD official leaked on social media on 28 April 2018. In his speech addressing CNDD-FDD activists in Migera hill in the District of Kabezi, Nzopfabarushe asserted that opponents hiding in the ranks of the party will be identified and thrown into Karonge river and will end up in Lake Tanganyika. He asserted that boats had been made and were very ready for that purpose. 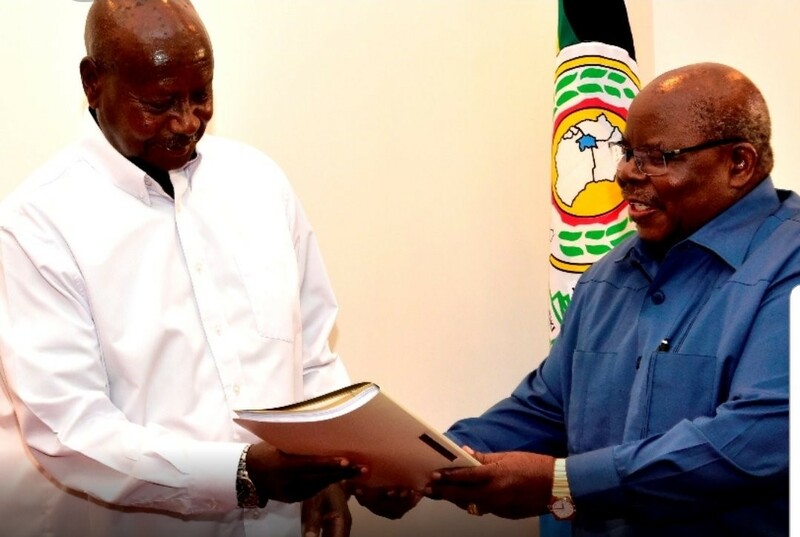 The speech which it eventually emerged had originally been given on 15 April 2018 was condemned by both the CNDD-FDD leaders and its allies, including Jacques Bigirimana, chairman of the FNL party, who demanded that Nzopfabarushe be tried urgently. Nzopfabarushe was arrested on 29 April and tried in an expeditious procedure on 30 April 2018 and condemned for 3 years of imprisonment and a 300,000 BIF ($170) fine. Nzopfabarushe is widely perceived as a scapegoat who had the misfortune to prematurely unveil the secret plans of the party, that is to eliminate all those who oppose the ruling party’s projects. There are others that have delivered similar messages while demonstrating in the streets. For example, on 21 April 2018, the Governor of Makamba province organized a public demonstration where Imbonerakure chanted a song, “Nkurunziza Yaracakiye, ntazongera kukirekura, amatora agira agrere uwuzorukarisha ruzomumwa” (Nkurunziza has gripped the power and will never give up, elections are approaching, whomever will sharpen the tool will be shaved away), meaning whomever will try to oppose will face deadly consequences. Images of the demonstration have since gone viral. Former vice-President and former President of the Senate, Gabriel Ntisezerana, while speaking during a church service in Musigati on 22 April 2018, recalled the 1972 massacres and demanded that those wanting to vote no should be exposed and arrested. The conference of the Roman catholic bishops of Burundi plays an important role in social and political life in Burundi. 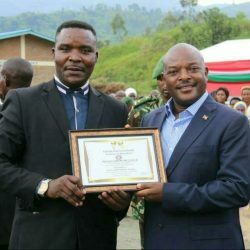 Back in December 2014, Archbishop Simon Ntamwana of Gitega declared his position against the third term of Pierre Nkurunziza and inspired a civic movement called Sindumuja which followed the main content of his speech addressing a youth assembly of 2,000 in the Parish of Murayi. In that speech, he argued that the way to enslave people is obliging them to agree with whomever violates the term limit to remain in power. Due to the ongoing crisis, the relationship between the government and the catholic church of Burundi has deteriorated considerably and has led the church to be very cautious. 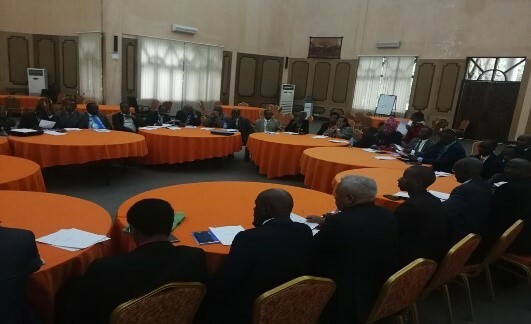 However, the President of the Conference of Catholic Bishops of Burundi, Bishop Johachim Ntahondereye stated on 3 May 2018 without naming names, the rampant abuses of power by denouncing the behavior of “some Burundians” who use violence and abuse their authority to suppress freedom of expression of citizens and their political opponents. The Catholic Bishops believe that, many citizens, “even if they do not say it loudly, live in fear, so much so that people do not dare to say what they think, for fear of reprisals”. In the same vein, on 1 May 2018, the United States Department of State Spokesperson Heather Nauert released a statement in which the United States expressed its concern over the lack of transparency in the constitutional referendum process and contended that the amendments will be interpreted as resetting presidential term limits and weakening democratic institutions. In a communiqué released on 4 May 2018 by the national media regulatory authority, le Conseil National de la Communication or CNC, the executive committee of the CNC stated that it had analyzed the situation of media during the first quarter of the year and noted some breaches of the press law. The CNC stated that CCIB FM+ and Radio Isanganiro were again warned that they had violated the commitments they agreed upon in the so-called “cahier de charges des medias” that they voluntarily signed. Radio France International is accused of providing biased information regarding the forthcoming constitutional referendum. The advertising headings of the official daily news Le Renouveau du Burundi were suspended for three months because the outlet failed to respond to a warning addressed to her in 15 January 2018 recalling that it publishes only in French. According to the CNC, BBC International and Voice Of America (VOA) were suspended from broadcasting in Burundi for six months for, among other things, not respecting the balance of information providing unverified information and affording space for people calling for civil disobedience. 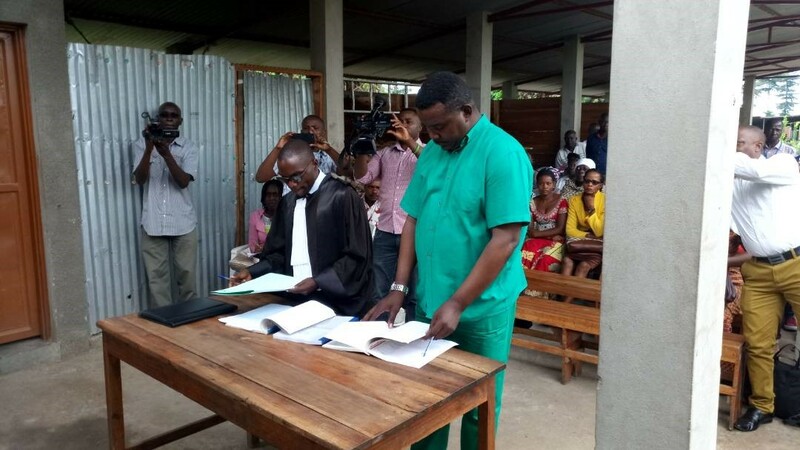 VOA was further accused of recruiting a Burundian national under an international arrest warrant. On 17 April 2018, an estimated thirty (30) Burundian refugees were arrested in the region of Geita, Tanzania. Twelve (12) were accused of seeking Tanzanian ID whereas 18 were accused of cultivating illegally in the region. One day before they were arrested, Brigadier General Emmanuel Maganga stated that refugees are a source of insecurity and a real threat to the Tanzanian culture in Kigoma in the District of Kibondo. 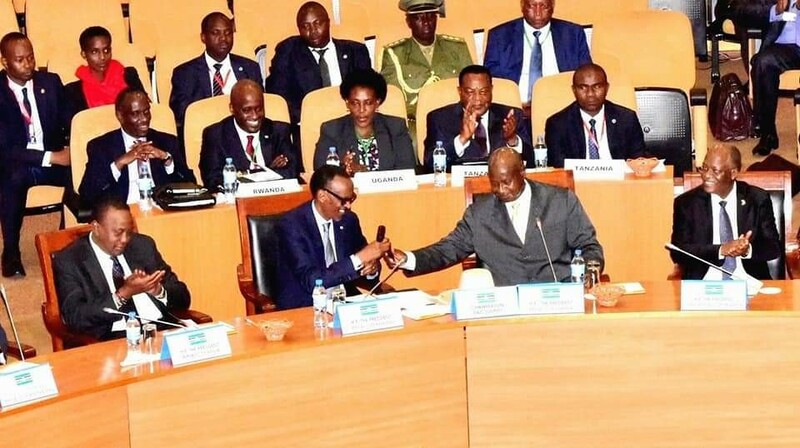 Maganga argued Burundians should be repatriated because there is peace in their country. So far, an estimated four hundred (400) Burundian refugees from Nduta, Mtendeli, Nyarugusu refugee camps have been detained in Nyamusivya in the district de Kibondo. On 9 April 2018, Kahise was arrested at Gashasha hill in the village of Karonda in the District of Rumonge and taken to an unknown destination. Kahise is a member of the Front de Libération Nationale (FROLINA), the wing of Joseph Karumba. He was suspected of holding clandestine meetings. On 12 April 2018, a pastor of FECABU Rumonge, Ndagijimana Ferdinand, was arrested in the village of Karonda in the District of Rumonge because he preached that the referendum is a curse for the country. He was arrested by the NIS boss in Rumonge and transferred to Bujumbura. Another member of the same church was arrested on 13 April 2018 and detained in Rumonge police station. On 13 April 2018, a 70 year old man and member of the FNL pro-Rwasa, Ntigirizingo Etienne was arrested at Kigwena and detained in Rumonge police station. He is believed to have been campaigning for voting “OYA” (no) in the constitutional referendum. On 15 April 2018, the dead body of a member of the FNL pro-Rwasa party, Gratien Nduwimana, was recovered at Mitakataka hill in the District of Bubanza. On 16 April 2018, three vehicles were attacked at Kagwema in the District of Gihanga leaving four wounded and two killed. On 16 April 2018, Norbet Nzoyihaya who worked at the Bigoti high school and served as secretary general of the opposition Rassemblement National pour le Changement (Ranac) party in Sebeyi was arrested and detained at Buyengero police station. This is believed to be a result of his suspected campaigning against the change of the constitution. On 16 April 2018, two persons were killed and four were wounded following an ambush on transport trucks at Kagwema-Gihungwe hill in the District of Gihanga. On 16 April 2018, a young man was killed by the military at ninth transversal in the District of Gihanga. Relatives report that the victim suffered from a mental disability. He is believed to have been killed for not stopping at a patrol check. On 17 April 2018, Claver Niyongabo aka Nkomo was arrested at Gakaranka Hill in the District of Mugamba. On 19 April 2018, a 60-year-old, Martian Kajambo (60 years), was killed by unknown people at Kanyererwe hill in the District of Giharo. On April 20, 2018, a 33-year-old male, Roger Ntawukirishamba, was killed by unknown people at Mugombwa Hill in the District of Giharo. On 20 April 18, a 13-year-old girl was raped at Butezi Hill in the District of Giharo. Witnesses suggest the perpetrator is a 33-year-old male. On 21 April 2018, a grenade attack at Kivoga Hill in the District of Gahombo resulted in two persons being killed and an estimated 30 persons being wounded. On 21 April 2018, Reverien Mpawenayo, Elie Buzoya, Celestin Niyongabire and Pascal Ndayisaba studing at Muhwazi high school were arrested at Muhwazi hill, in the District of Nyabitsinda. The students were arrested as the welcomed a comrade who was just released from prison after several months in detention. The police asserted the young men were holding a campaign for voting “no” in the forthcoming referendum. On 22 April 2018, Alain Jovis Dushime and Ferdinand Niyikora were arrested at Bikobe Hill and Budaketwa in the District of Mabanda. Both boys are 15 years old and appear to have been arrested on suspicion of belonging to an armed group. On 22 April 2018, six members of the Rwasa FNL were arrested at Kiremera Hill, in the District of Giheta. All the arrested are believed to have been campaigning against constitutional change. On 22 April 2018, an FNL pro Rwasa activist, Christine Tuyisenge, was abducted from her house at Gatwe Hill, Kizuka Zon in the District of Rumonge. Relatives report that the victim was beaten to death by twenty young militiamen. Her body was recovered a day later on 23 April 2018. On 22 April 2018, Leonard Nibigira was shot and wounded by a policeman who was patrolling Nyakibingo Hill in the District of Ntega. Nibigira was shot after he refused to obey police orders. Nibigira is known as an active member of the Imbonerakure in the area. On 23 April 2018, six FNL activists were arrested at Kiryama and Muheka Hills in the District of Songa allegedly for advocating a no vote in the referendum. On 24 April 2018, the dead body of a woman namend Kaneza was recovered in Ngagara IV in the District of Ntahangwa. She had been abducted by unknown persons as she responded to a call a day before . On 24 April 2018, Jacques Ndikumasabo, an FNL member was arrested at Munyika I Hill, in the District of Rugombo. On 24 April 18, ten teachers working with Bwambarangwe high school were arrested because the police believed they were attending illegal campaign dedicated to vote “no” during the constitutional referendum. On 26 April 2016, an FNL member Jean Claude Nizigiyimana was arrested at Rwaniro in the District of Burambi as police thought he was campaigning against the constitutional referendum. On 27 April 2018, two men were taken from their home in Kizuka in the District of Rumonge to be beaten at the cemetery as they are believed that they will vote no in the upcoming referendum. On 28 April 2018, a University of Burundi student Desiré Gahimbare was arrested by the police and detained in an unknown location.